In Sepember, 2018, Nancy’s new book, Letters from the Earth, a memoir was published by Higher Ground Books and Media. Nancy Flinchbaugh’s second novel, Revelation at the Labyrinth, was published October 17, 2017 by eLectio Publishing. Her first novel, Revelation in the Cave, was self-published by Spiritual Seedlings in 2012. She has written professionally in the California Ombudsman Journal and in numerous newspaper columns and articles published in the Springfield News-Sun and The Springfield Paper. She attended Antioch Writer’s Workshop and is a coaching client of Kathie Giorgio, director of AllWriters’ Workplace & Workshop in Wisconsin. She maintains a website at www.spiritualseedlings.com, where she regularly posts study guides for books read by the “MAMs Book Club” in Springfield. This real-life club is modeled on the “MAMs Book Club” in both Revelation in the Cave and Revelation at the Labyrinth. In her study guides, Nancy writes comments on each book from her own perspective and from the perspective of each of the MAMs (characters in the book). She also maintains a website at nancyflinchbaugh.com, where she has started a blog to comment on her new book and related themes. Nancy completed her bachelor’s degree with honors in Religion and Sociology from Otterbein University. Later, she became certified to teach sociology, American and world history, economics and political science (grades 6-12) at the University of Iowa and also earned a master’s degree in educational psychology and guidance from University of Texas at San Antonio. For 22 years, she has worked as the Fair Housing and Mediation Coordinator for the City of Springfield, Ohio, where she also helps coordinate intercultural programming. Her life goals over the years are to work for peace and justice and, more recently, for the earth. 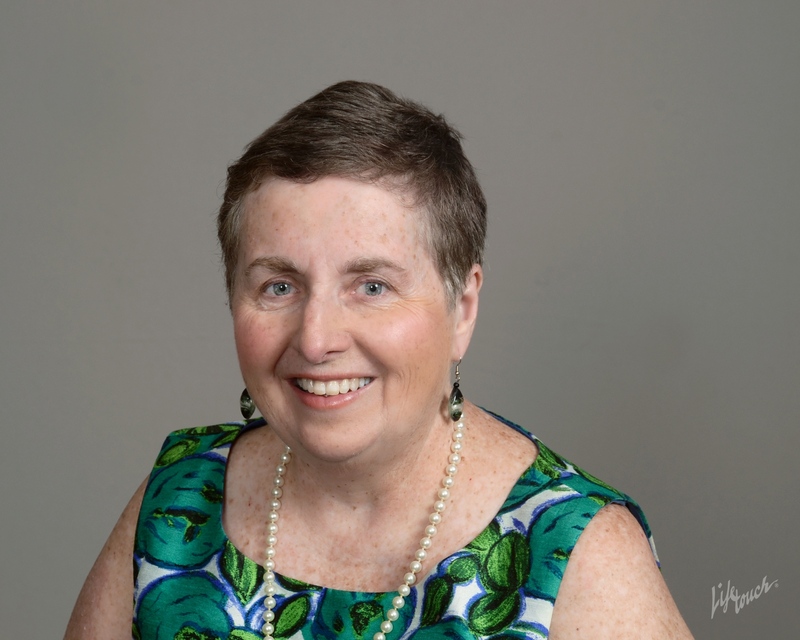 She is a graduate of the Shalem Institute for Spiritual Formation’s program on Leading Contemplative Small Groups and Retreats and is a Certified Labyrinth Facilitator with Veriditas, as well as a member of First Baptist Church, Springfield, Ohio. Since 2012, she has led contemplative experiences in small group and retreat settings. She has been a member of Citizens’ Climate Lobby for three years, participating in and planning outreach and lobbying efforts. She is a member and officer with the Springfield Toastmasters Club, where she has been a member for twelve years. She lives in Springfield, Ohio with her husband, Steve Schlather. They have two grown sons who are software engineers in Seattle and Boston, and a cat, Emily Rose. In addition to writing and photography, Nancy enjoys gardening, riding her bike to work, fiddling and playing the hammered and mountain dulcimers with the Springfield Dulcimer Club.